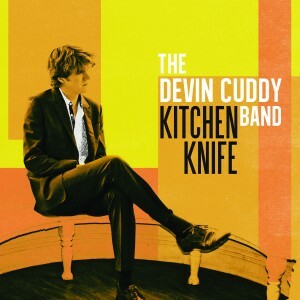 With their sophomore record Kitchen Knife, The Devin Cuddy Band digs a little deeper than the roads they explored on 2012’s excellent Volume One. This isn’t to say their debut lacked substance; quite the opposite. Rather it is the lyrical content and the way that Cuddy and his stellar backing band blend the blues of New Orleans with Dixieland jazz and country music that helps Kitchen Knife stand out as something truly special. The upbeat “Forty Four” is betrayed by a somewhat dastardly theme while the western-swing vibe that Cuddy taps into on “Town” and the title track is irresistibly great.